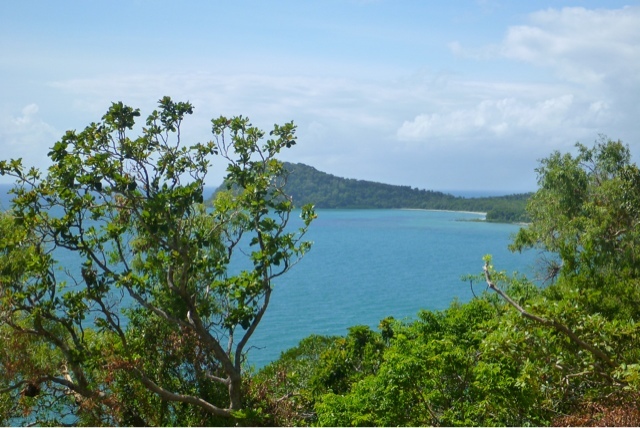 Left the cape and attempted the Bloomfield track to reach Cooktown. Apparently the track was in good condition so I thought wtf. The dirt was fine even though it had rained this morning but the first river crossing, whilst not deep was slippery large river rocks and I was close to dropping the thing several times. 10 more of these? I thought nope so turned around headed back over my training river stalling 4 times in holes. Back to cape for coffee after a little fun in the dirt. 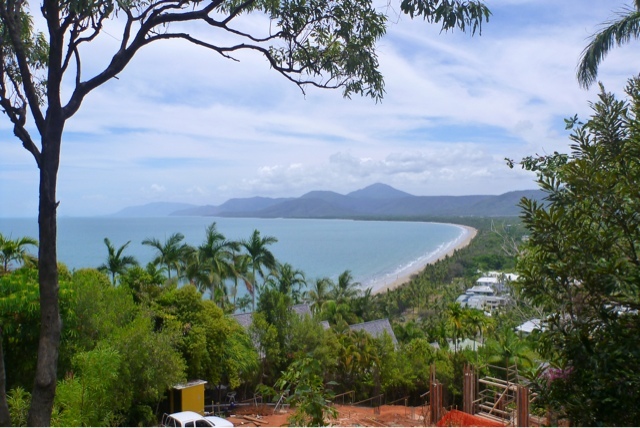 I decided to head to Port Douglas for lunch. Don't like it. It's full of people filling in time by spending money in surroundings that are at best average largely because they are full of said people. Nice sandwiches and coffee though. After lunch I decided to ride a few of the great motorcycling roads around here. 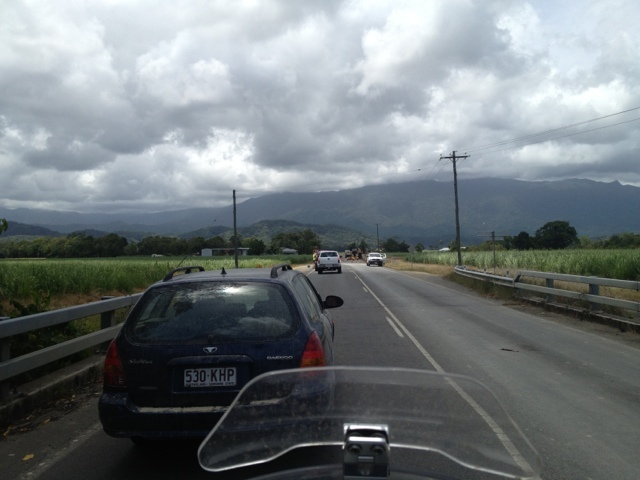 The cook hwy along the coast and the Gillies hwy heading back up to the Atherton table lands for some extra twisties. Bloody road works every where! I must have stopped about ten times waiting for the stop/slow lolly pop person to allow me through. The roads were spectacular and fun but the road works were really too much. There must be an election imminent. 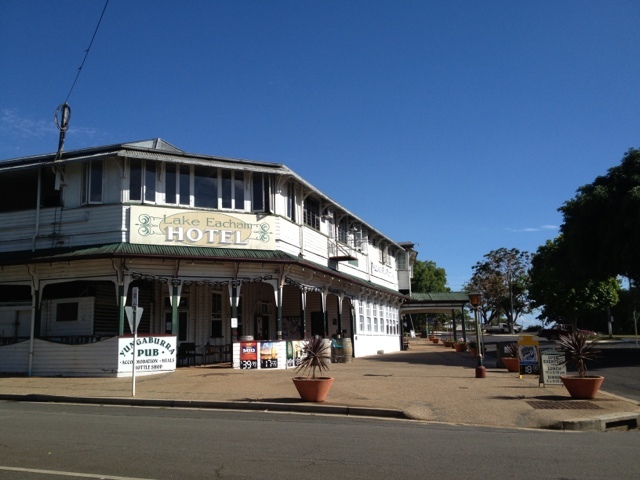 Anyway I was getting a bit weary so decided to stay in the charming little town of Yungaburra in the hills rather than head back to the coast just to stay in another beachside overpriced motel at a beach you can't swim at due to the box jelly fish. The motel owner is a motorcyclist and took his car out of his garage to put my bike in. The Beemers first garaged kip. He also showed me all the roads to try tomorrow but warned that all roads as far as Townsville had road works.